Become part of the show as Ferrante ad-libs his way throughout the performance in grand Groucho style. 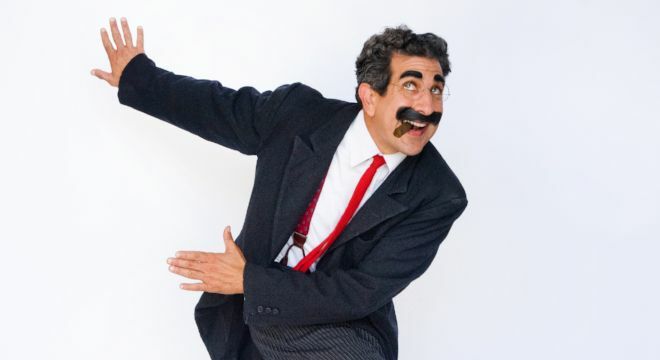 Accompanied by his onstage pianist, Ferrante portrays the young Groucho of stage and film and reacquaints us with the likes of brothers Harpo, Chico, Zeppo and Gummo, Charlie Chaplin, W.C. Fields, Marx foil, Margaret Dumont and MGM’s Louis B. Mayer. A show perfect for all ages!